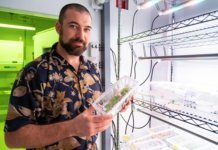 This article has been updated as of October 2018. In today’s health obsessed world, seeking healthier options for optimal living is a daily task. 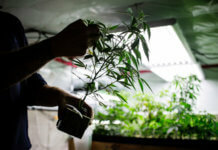 In the world of cannabis, this couldn’t be truer, as new products and therapies for medical patients sprout from every corner of the internet, being promoted as the next cure-all solution. So, what makes THC distillate any different than your run of the mill shatter or wax or any other concentrate? For one, it’s the purest cannabis concentrate available on the market, which continues to fill the void for many medical patients. 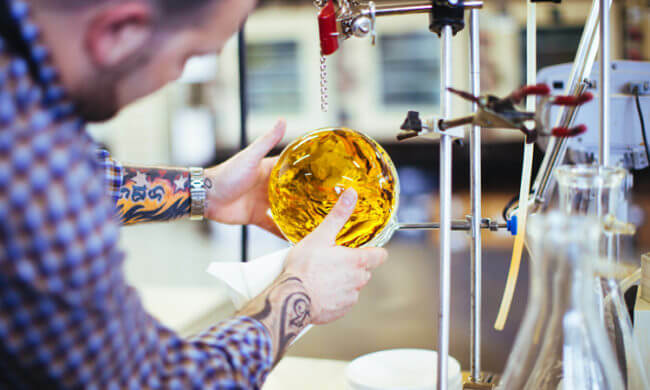 For deeper insight, let’s take a closer look at what separates distillates from the rest of its concentrate relatives. What separates THC distillate’s process from other concentrates is, of course, the technology applied in cannabis laboratories. 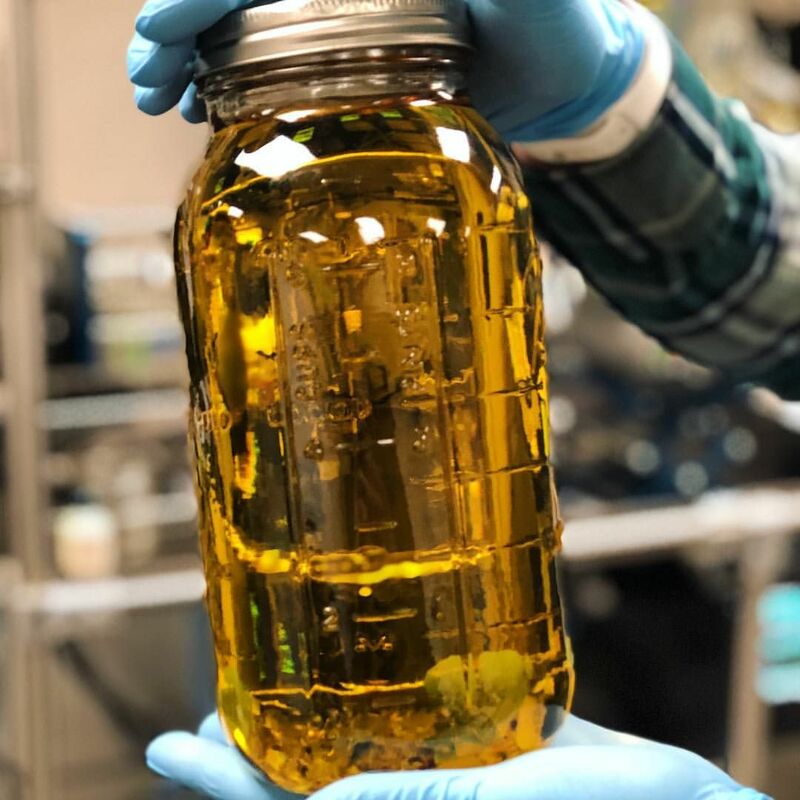 More specifically, this technology is known as a “short path distillation process” – a new and revolutionary system that’s changing the extraction field as we speak. Because cannabis requires very high boiling points for its cannabinoids to vaporize, this “short path distillation process” in combination with high powered vacuums makes up for a highly effective way to distill cannabis’ compounds at lower temperatures. 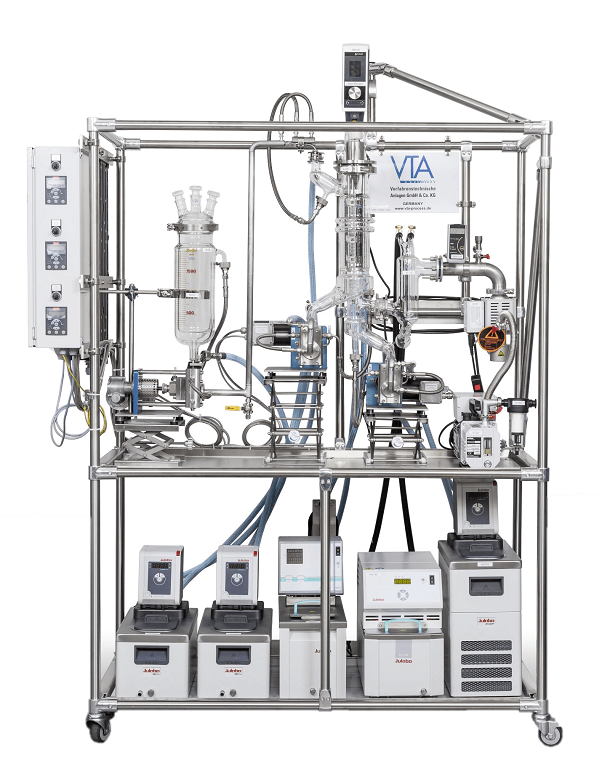 Being introduced by a partnership between Root Sciences and manufacturer VTA, the process simply distills cannabinoids at very low temperatures. The equipment itself has very low “residence times” (the amount of heat a substance is exposed to while being evaporated), which becomes even lower with higher power vacuums. This process is also known as molecular distillation, an extraction method that virtually separates even the most minute compounds from cannabis – such as THC, terpenes, additional lipids, pesticides, plant material and a host of others. The THC distillation process is split into two-parts, where the first removes terpenes (which can be re-introduced to THC distillates at a later stage) from cannabinoids, and the second part removes lipids, impurities and solvents. 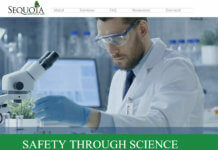 Which results in an odourless, aroma-free, pure distillate. Then, a wiped film evaporator turns distillates into fine oil – the liquid that’s packaged into vape cartridges, tinctures and edibles. Due to high boiling points required to vaporize cannabinoids, situations can become very thick or high viscosity-like, therefore, the entire extraction system must be designed to cope with very gooey, and thick substances (like honey). Or in other words, the system must be able to handle cannabinoids in their purest form. In such a state, CBD is crystallized, but THC on the other hand, becomes a very thick substance. Therefore, they must be handled and processed with care and skill for efficient refining – a responsibility VTA, the manufacturer behind the equipment, specializes in. The process not only creates a very pure cannabis extraction, but also leaves out the necessity for using solvents to bind with marijuana products. Solvents like BHO, Co2 and alcohol, as we all know, are harmful for many reasons, so when they’re excluded in the extraction process in making pure THC, it’s always a good sign. Distilled cannabis has the highest THC content of any available concentrate, period. 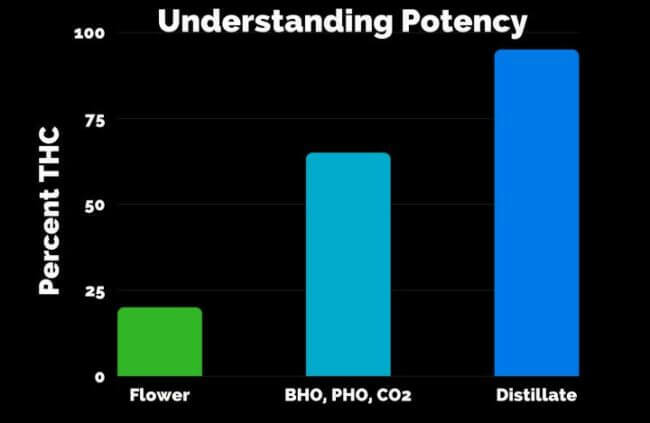 Using the short path distillation process, THC distillates are 90-99% in purity, miles ahead of the 15-25% range found in flowers, or the 60-80% found in BHO and Co2 made concentrates. Frankly, the concentrate is revolutionary, given its one-two ultimate combo attack of going through a clean extraction process, which proves sustainable, and also, its high THC content, which proves to be the most pure. It’s no wonder why THC distillates are shaking the concentrate space. The method that creates pure, distilled THC also results in a concentrate that is inherently odourless and flavourless. This lends THC distillate as ideal for being used as a medical remedy in public spaces, like work, social gathering or events, even if it’s frowned upon or generally not accepted. Not only is THC distillate a very clean and pure extract, it can also be used in almost any method that’s suited to your preference, making it an extremely versatile medicine. Thanks to the removal of all the impurities and chemicals, the smoke is free of solvents and respiratory damaging carcinogens, and in some cases becomes vapour. Many find this appealing, especially if they’re averse to the trademark compounds hash smoke. The effects of distillates are felt almost immediately after consumption. 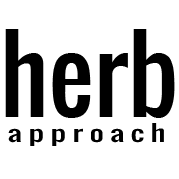 Given that THC is in its pure state, ready to be ingested/smoked without mixed-in stuff like plant matter, the medicinal benefits take place almost instantly. Therefore, filling a void for those who need fast-acting meds. 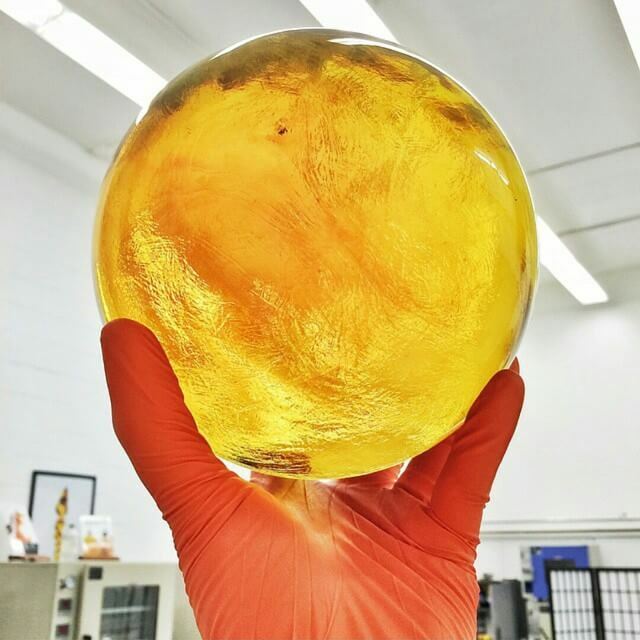 Since the introduction of RSO (Rick Simpson Oil), THC extracts are a proven method in incorporating high doses of cannabinoids without having to smoke an entire plant a day. For THC distillates, a drop or 2 is only needed. This, when coupled with an immediate onset, creates a medicine that’s not only sustainable and potent, but also convenient and discreet to the nose. The methods of consuming distilled THC are virtually endless. Given its chemical make-up, you can apply distillate in ways that suit your preferences, no matter your lifestyle. It’s the jack of all trades when it comes to extractions. Simply, refill your vape tank. It’s important to use ceramic coil over cotton coil so the taste doesn’t get altered. The potency of THC distillates will be felt through using a cotton wick also. However, the idea of vaping is to enjoy the flavorful terpenes as well, which ceramic oil will help achieve. If you don’t know where to start in finding the right vaporizer, this article will help. Dabs are one of the most popular methods to consuming THC distillates. Essentially, its vaporized on a hot surface through something like a bong. In dab form, distillates won’t go to waste. For those who love smoking marijuana, spread a little bit of distillate on your rolling paper. This allows you to use much less flower, yet still have all the great medicinal effects from your cannabis. The addition of adding oil to your joint will improve the quality of how the joint burns and smokes. Distillates can also be used orally through a small drop under the tongue or serenaded as an ingredient while cooking. For distillates that have terpenes reintroduced at a later stage, they can enhance the flavour of meals and snacks. In other words, meals and the like can contain THC without the lingering trade mark taste, if you so choose. Great for those who are seeking more natural flavours and meals with an earthier profile. Why Choose THC Distillate Over Smoking Flowers? It’s no secret that cannabis is generally consumed through smoking dry bud flowers, or in other words, through heating combustion methods. While marijuana itself is proven as being a safer alternative to alcohol and tobacco, this way of smoking taints the process. Why? Because carcinogens created from burnt plant matter and rolling papers (if used) enter our lungs, thus clogging our respiratory system with a whole host of harmful chemicals. Also, THC content levels blatantly favor distillates over dried buds – 99% over a max of 25%. For those who have higher tolerances, and are trying to relieve unbearable ailments, this is a distinguishing factor. Not only do distillates’ high THC content level require small doses to realize its effects, its nose-discreet characteristics, as in being odourless, is also appealing for those who consume publicly without fear, or those who are unjustly demonized for using cannabis medicine. Overall, THC distillates are revolutionizing the medical field, with the potential to treat those who suffer from cannabis-solvable conditions. If you haven’t taken THC distillates into consideration, this might be the time.